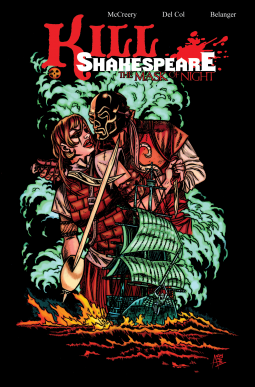 A twist on Shakespeare with all the gore the Middle Ages and Pirates can bring to a story. I was so sad when Cesario died, I wanted him and Viola to sail off together as he wanted to. But revenge is all the more dramatic when it's done for love, at least that's how it's in all the classics. If you're into the dramatic, old English read, you'll enjoy this book. The illustrations are good and in the steps of Shakespeare all love ends tragically.